R2i Millwork Wainscot Kit - Prefinished Ready to Install - Fauxwood Cafe - 6 Pieces of 1/4 In. x 4 In. x 32 In. Imagine transforming your room without painting! You can easily add traditional elegance to any room. Remodel in hours and instantly enjoy with our pre-finished and durable wainscot. Will adapt to uneven wall surface. This easy to Install system requires No Painting! Lifetime warranty on rot, guaranteed against manufacturing defects. With an ancestry dating back to 19th century Victorian England, this classic wainscot design has outlived many other stylish fads. Beadboard wainscot is traditionally used in foyers, bathrooms, hallways and less formal gathering spaces of primary residences, cottages, and vacation homes. This easy to install wainscot system recreates this authentic look and feel in as little as several hours. Perfect for a weekend project idea! 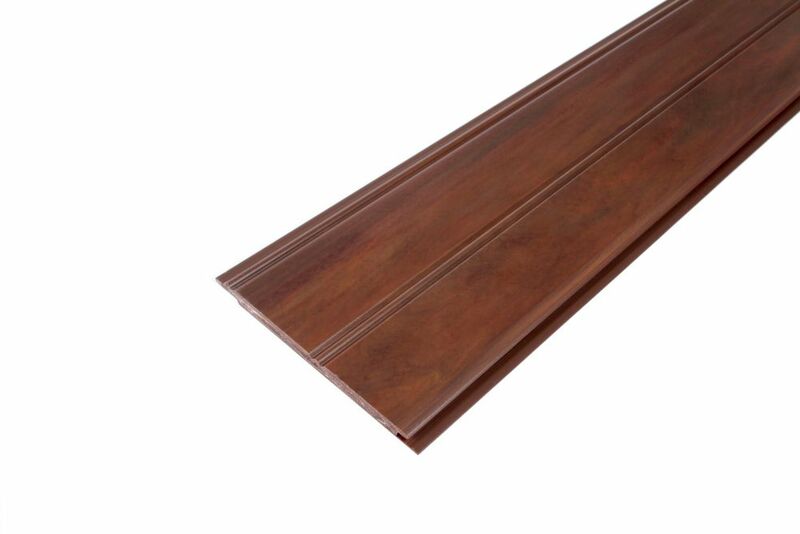 Alexandria Moulding Oak Panel Moulding 1/2-inch x 3/4-inch x 8 Ft. The finishing touch to a job well done on a wainscoting project. It is used to cover the top edge of Wainscoting or panelling for esthetic purposes. Other monikers include the terms Dado Cap or Ply Cap. Create a tiered level of design opportunities and possibilities by installing your ply cap, parallel to baseboard, on top of panelling or wainscoting to add a decorative flair to the lower portion of your wall treatment. Tap your imagination and let your creativity flow into the room! Alexandria Moulding Primed Fiberboard Wainscot Kit - 3 Pieces Of 1/4 In. X 7 In. X 96 In. With an ancestry dating back to 19th century Victorian England, this classic wainscot design has outlived many other stylish fads. Beadboard wainscot is traditionally used in foyers, bathrooms, hallways and less formal gathering spaces of primary residences, cottages, and vacation homes. This easy to install wainscot system recreates this authentic look and feel in as little as several hours. Perfect idea for a weekend project! Wainscot Kit - Prefinished Ready to Install - Fauxwood Cafe - 6 Pieces of 1/4 In. x 4 In. x 32 In. Imagine transforming your room without painting! You can easily add traditional elegance to any room. Remodel in hours and instantly enjoy with our pre-finished and durable wainscot. Will adapt to uneven wall surface. This easy to Install system requires No Painting!